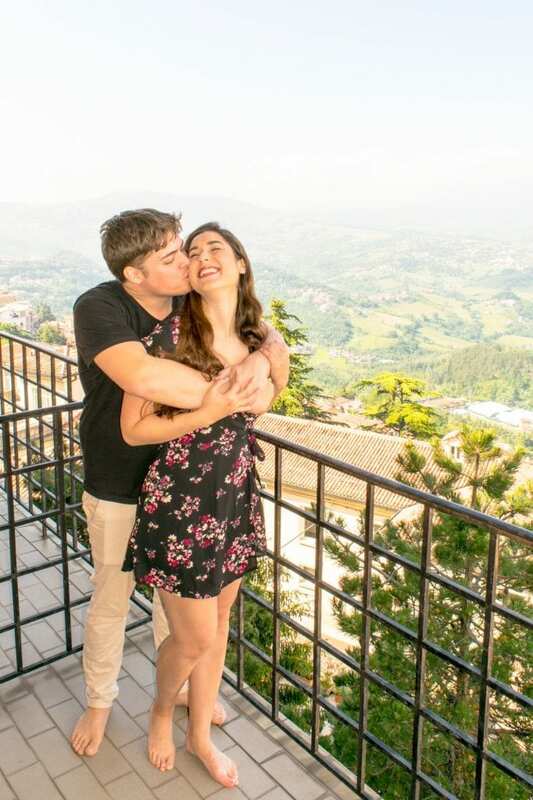 May was a quiet month for us in terms of moving around (we spent the bulk of the month staying in Bologna), but very busy behind the scenes: we worked like crazy, crossed things off our to-do lists left and right, and booked our most epic trip yet! Our exciting upcoming trip doesn’t start until late August, but the planning has definitely already begun. In the meantime, though, we are thrilled to still be here in Italy–we will never be tired of traveling in this country, and loved spending May exploring a region we hadn’t spent much time in before (Emilia-Romagna), getting a taste of two new cities we adore (Parma & Verona), returning to two old favorites (Florence & Bolzano), and briefly visiting a new country (San Marino). … And when I list it out like that, May suddenly doesn’t seem so quiet after all! Meeting up with family in Bolzano. As I write this, many of my extended family members are in town! That is incredibly exciting news, as we can never see our family and friends enough. 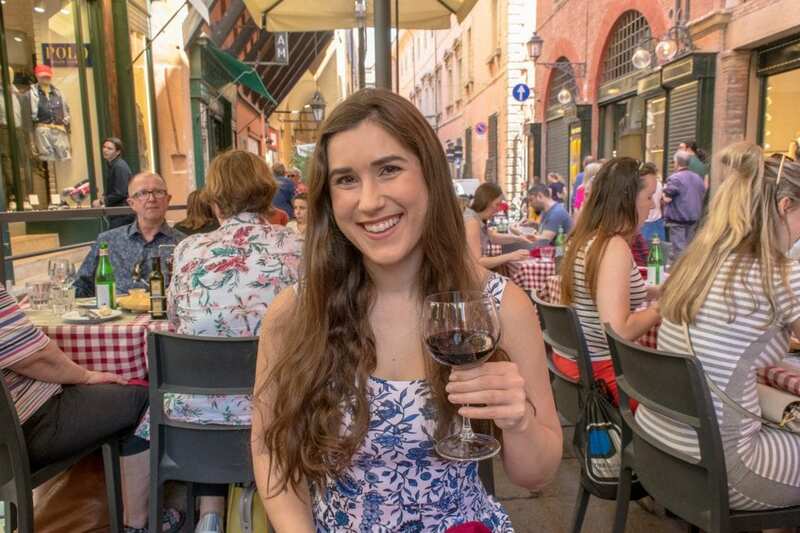 We are currently together in the beautiful city of Bolzano in the South Tyrol region of Italy, enjoying hikes in the mountains and wine from the delicious vineyards that dot the landscape. Most of our trip with them is going to take place in June, so I’ll write more about it later, but our time with them will be split between South Tyrol and Tuscany! Getting back to Florence. Even with only a couple of days there, Florence never fails to make us smile. 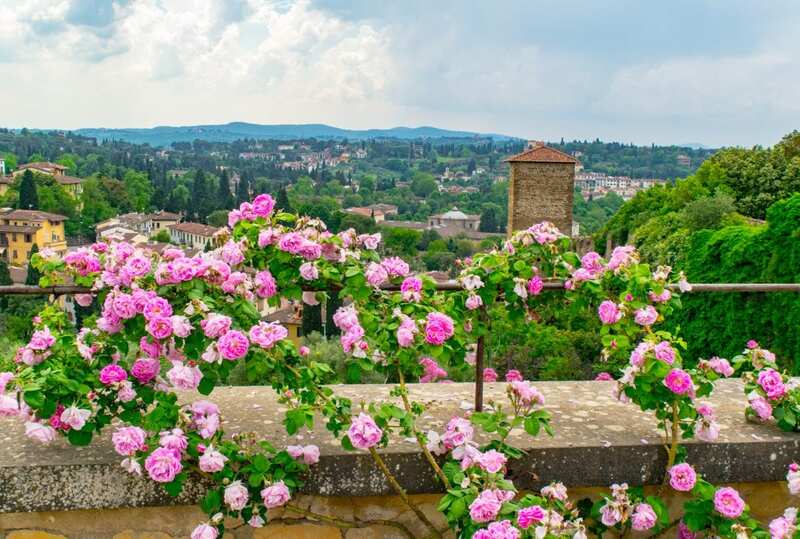 It truly is one of our favorite cities in the world, and this time around we took advantage of the gorgeous spring weather to visit both the Rose Garden and the Boboli Gardens, which were both full of incredible blooms. Finally fulfilling my years-long dream of visiting a parmigiano-reggiano factory. Some travel goals are impressive and far-reaching… and some are just about cheese. I have wanted to visit a parmigiano-reggiano factory and admire the glorious wheels of aging cheese in their natural habitat for ages, and in Emilia-Romagna, I fulfilled my wish! At the last minute, we booked a day tour leaving from Parma that took us to a parmigiano-reggiano factory, a parma ham factory, and the home of a (very kind) balsamic vinegar producer, and it was an absolute blast! Visiting a new country. We’re hardly the most diligent country counters in the world (hello Italy, nice to spend six weeks with you on our fourth trip…), but it’s always fun to visit new ones! 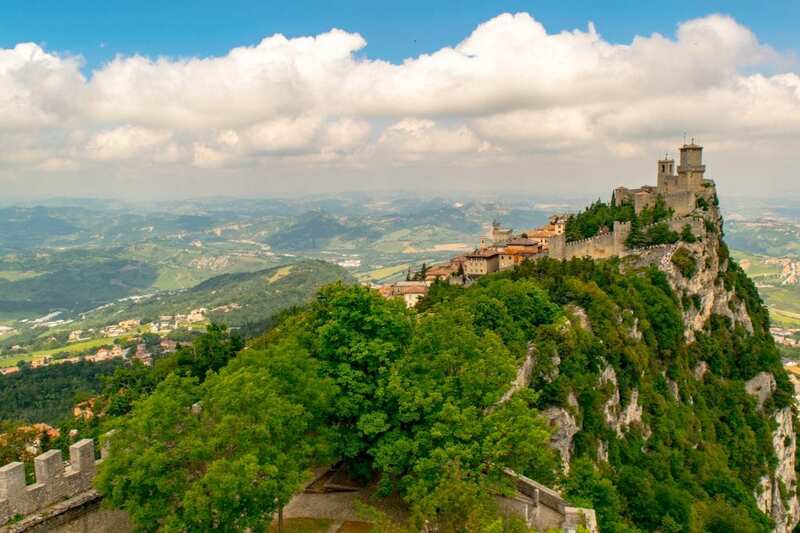 San Marino may be tiny (the fifth smallest country in the world) and landlocked by Italy, but it is still its own independent nation! For a country that only spans around 62 kilometers, it manages to pack in some gorgeous spots, including a castle. Deciding where to spend the rest of 2018. Sadly, we are running out of our 90 days in the Schengen Zone, and we are going to need to make ourselves scarce from one of our favorite parts of the world for the next few months. That is all well and good, but deciding where to go next was not easy! Destinations from Southeast Asia to Africa to the Middle East were considered, and our wanderlust was definitely encouraged by the giant world map that hung right over our kitchen table in Bologna (meaning that we spent many a night during our stay there drinking wine and daydreaming about destinations across the globe). It took many, many conversations and informal pro/con lists, but we finally cobbled together a plan that we are incredibly excited about. Lots of things are still up in the air, but we do have some non-refundable plane tickets booked, which is about as strong of a commitment as we ever make these days. I fell in love with this journal the moment I spotted it in a bookstore near Boston last year! The concept is simple: each day you write a sentence or two, and five years worth of memories are captured on a single page: so every June 3rd, for example, can be reviewed in one place as the years go by! In May, I celebrated making it all the way through the first year of the journal and started the second year. I’m tempted to buy another one soon, just in case they stop making them before I fill this one up! This book makes me want to go to Venice! In the aftermath of the Fenice Opera House burning to the ground in 1996, John Berendt made Venice his temporary home in an effort to get under the touristy skin of Venice and learn all about the quirky, interesting characters that are the Venetians themselves. Though I haven’t enjoyed it quite as much as I enjoyed Berendt’s best-known book (Midnight in the Garden of Good and Evil, which is set in Savannah) and think that the plot bounces around a bit too much, the book has definitely accomplished the goal I had in mind when opening it, which is simple: make me yearn for another trip to Venice. to add to my Venice to-do list for our next trip, and Berendt’s descriptions have me aching to go back! Ah, Florence–we are far from alone in rating it one of our favorite cities in the world. We loved this view from the Piazzale Michelangelo, and Instagram agreed! A Splendid One Day in Strasbourg Itinerary — The Alsace region of France is one of our favorite new destinations of 2018 so far, and the capital city of Strasbourg is a big reason why! Part French, part German, and all Alsatian, we loved our time in this incredibly picturesque city! The Ultimate 2 Weeks in Mexico Itinerary for First Timers — Heading to Mexico and looking for a fairly easy to pull off itinerary that covers more than just beaches? This is the itinerary for you! Fall in love with Mexico by exploring ruins, waterfalls, mountains, cities, cenotes, and (of course) beaches throughout your trip. Munich to Neuschwanstein Castle: Our Fairytale Day Trip — Stunning mountains, beautiful waterfalls, impeccable views, and a castle that supposedly inspired even Walt Disney with its picturesque design and setting–if you find yourself in or around Munich, Neuschwanstein Castle is not to be missed! 60 Fantastic & Fun Things to Do in Florence — The ultimate Florence bucket list will require multiple visits or a multi-month stay to get through… but that’s okay, because one visit to Florence will instantly leave you dying to come back! We’re staying put for the first half of June, and no one needs to convince us that more Italy is a good idea! We’ll be spending some time in Tuscany, Lombardy, and possibly Liguria, and we couldn’t be happier about it. In the second half of the month, we’re kissing the Schengen Zone goodbye and heading east: Bulgaria and likely Macedonia are on our radar, and we are so excited to get back to the Balkans! We absolutely adored the Balkan countries we visited in 2016 and 2017 (Croatia, Slovenia, and Bosnia & Herzegovina), and we are thrilled to be heading back to check out two more of the region. I have never heard of San Marino Kate. Pretty darn cool. I guess because it is so small and landlocked that it isn’t bigger on the travel blogger circuit. Cool that you got to meet family too. Always a thrill to meet fam and friends on the road. Enjoy your June! Can’t wait to see y’all in Bulgaria this month!! <3 Jealous of your big upcoming plans too! !